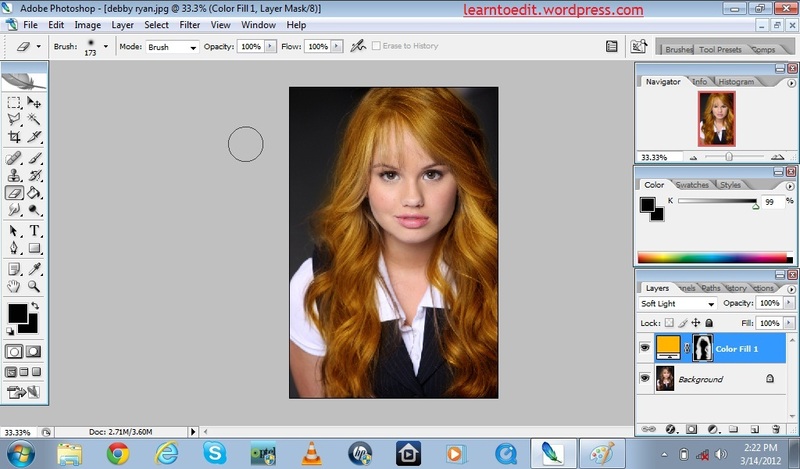 I will be using a picture of an actress Debby Ryan. 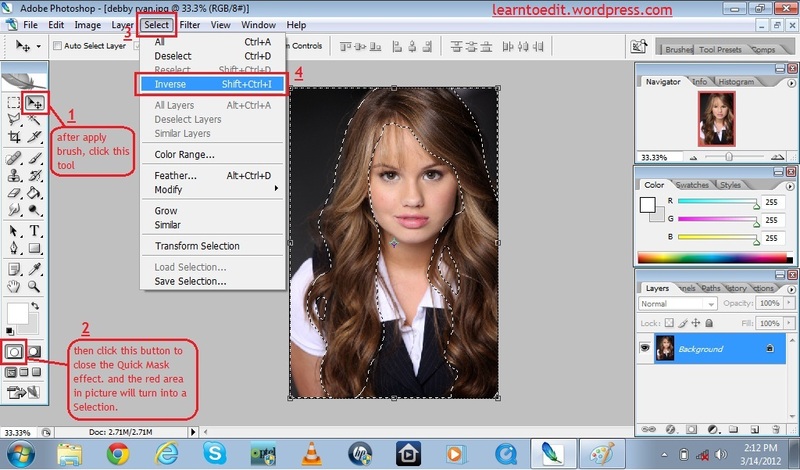 You can use any picture you want but I will advise that you should use some picture in which hair are prominent so that you can practice better. Change the size, opacity and flow of brush where needed. Remember, whatever color you choose for the brush, the hair will be painted red. 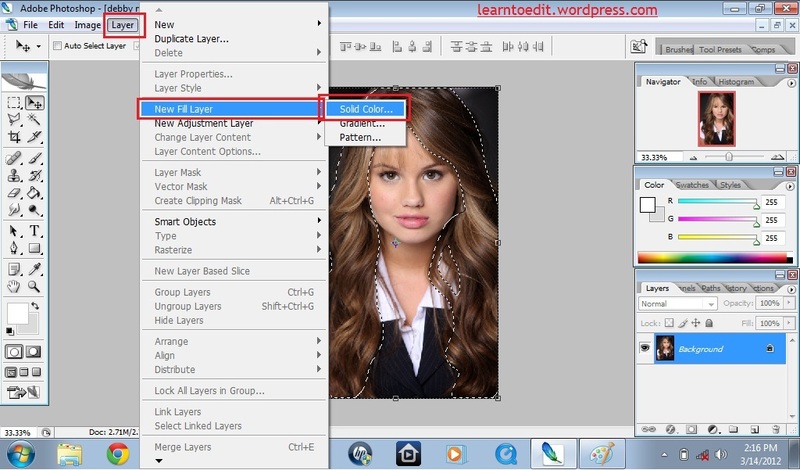 Don’t worry; this is a part of tutorial. 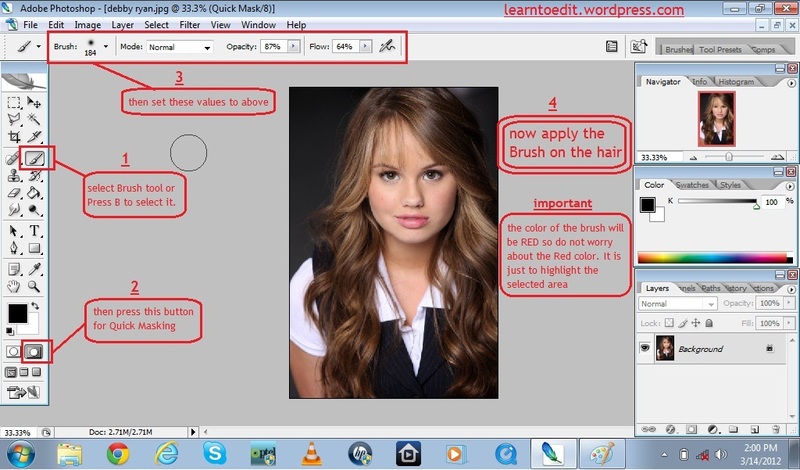 After applying brush on desired part of picture, go to Tools Tab and select the tool which is mentioned in the following picture with number 1. Now go to the bottom of the Tools Tab and press the button that is mentioned with number 2. 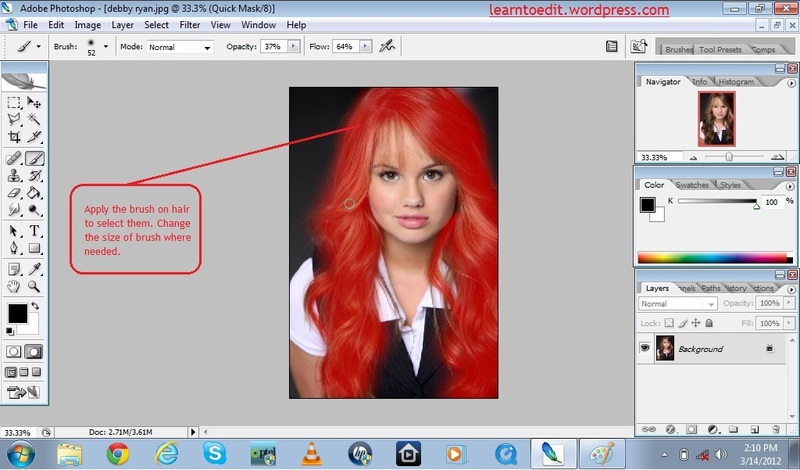 This will turn the red hair paint in to a selection on the picture. If you notice, the selection in the picture now includes the area except the hair. To select only hair, go to Menu Bar and click on Select Menu. 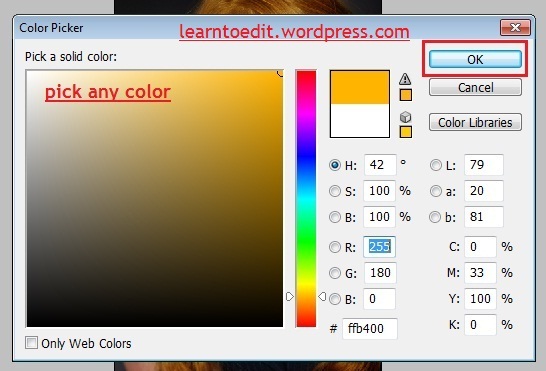 In drop down menu, click Inverse button. Now save it in .jpg format and also in .psd format so that you can reuse this project whatever you want. That’s all for this tutorial. I hope it helped. Like it, Rate it, Comment and Follow for more. Any question? Feel free to ask!